On September 15, at the annual Honduran Children’s Rescue Fund benefit, Tiho Teisl was awarded the “Guardian Angel of the Children of Honduras” Award for the tireless work he has done for the children of Nuevo Paraiso in Honduras. Tiho is currently battling cancer and was unable to attend the benefit, but his son, Stephen, and daughter-in-law, Valerie, accepted the award on his behalf. Tiho made his first trip to Sociedad Amigos de los Niños in 2001 to work with the children at the village in Nuevo Paraiso and, in the years since, has organized more than 30 mission trips to Nuevo with Gilmour students, parents and alumni. 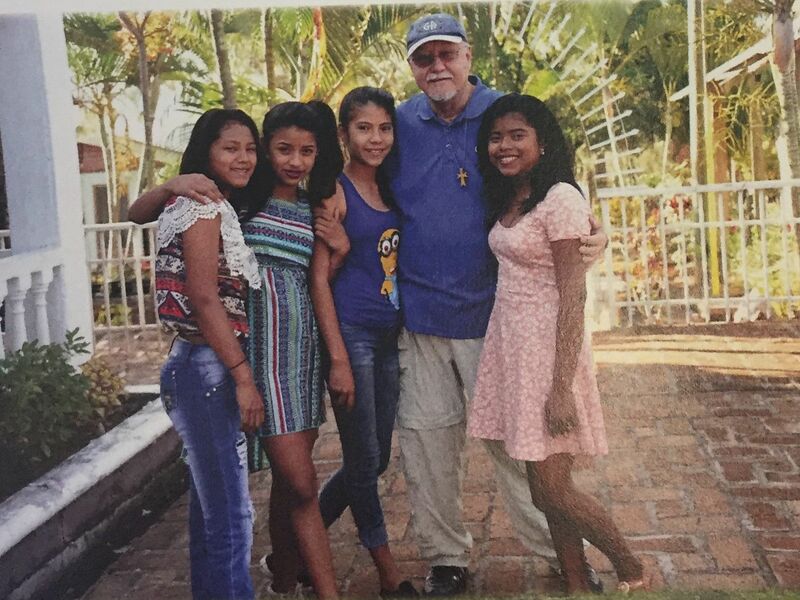 He has impacted the lives of countless Honduran children as well as all the volunteers with whom he has served. Additionally, Tiho is a founding member of The Honduran Children’s Rescue Fund, which raises funds to provide materials for Hondurans. This group has funded the building of many of the homes for children in the village and has been instrumental in founding the medical clinic, which is part of the Sociedad and is now recognized as a formal place for medical treatment in the area. Through 2016, this organization has sent more than $3,000,000 to Sociedad Amigos de los Niños and has secured large donations of pharmaceuticals, medicines, clothing, books, toys and more.